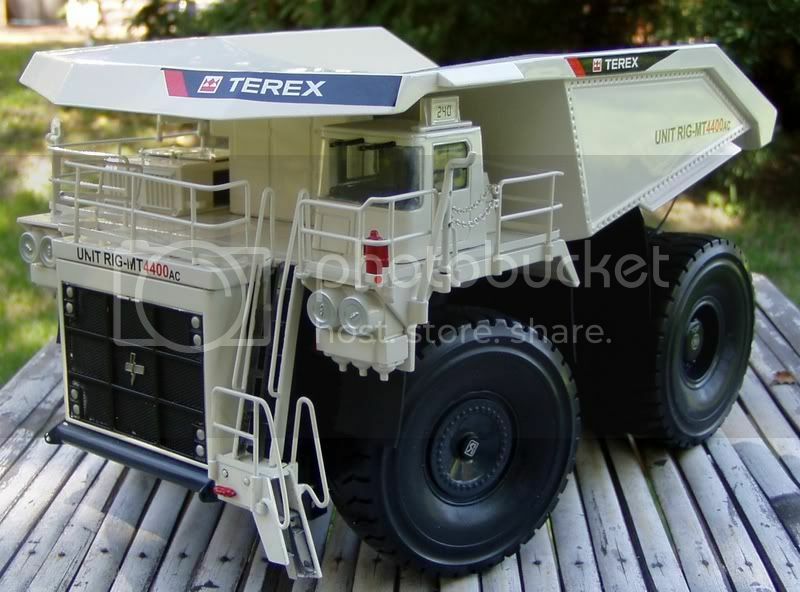 I have had a response overnight from Anton in regards to the upcoming Brami - Terex MT4400AC Dump Truck in 1:50 scale. If you don't remember this is the first picture of the prototype. And now this is the model close to production. Looks good. I already have this one on order. "attached one pic from the prototype. Except a couple of little details the model itself is ready. But the Design is the old one. 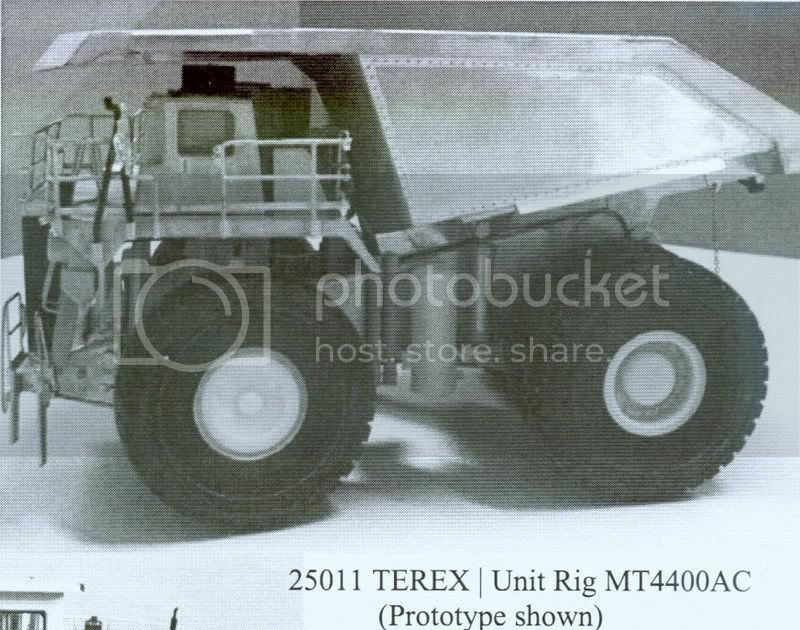 I'm waiting for new instructions from Terex for that. Shipping is time for christmas - not sure if it works !" Looks good, very interesting model! Is DHS going to carry these? Yaaaaahhhhhhoooooo. I don't usually get that carried away but I've been waiting to see this baby since, well since it was announced. Thanks for posting the pic Mitchtim. Yeh, maybe you're right Paul but look at the detail. 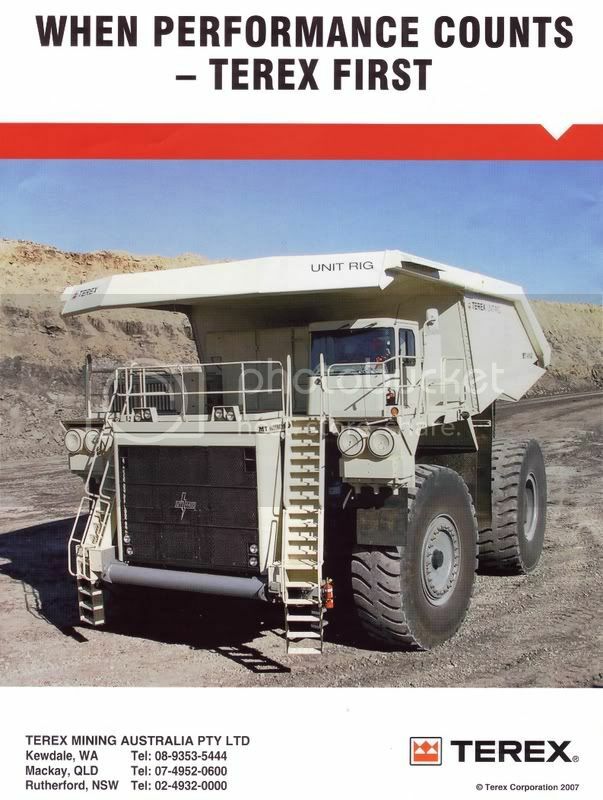 It even has the weight counter above the cab!. That one is going to look very nice with a RH340 shovel! If it's like other Brami models, it will be super detailed and probably the best mining dumper available!! I'm glad I don't collect mining models anymore, would have been a very expensive year with all those great models!! More pictures of the Terex MT4400 with the Terex RH340 are up on my website. The pictures are showing the prototype model, where the sign writing is currently incorrect. Likely release is now early 2008.
that will look good when a shovel is over it! Yup, sure do look nice with a RH340! Maybe this is what Anton meant by the new design with the more conventional access stairs, dump body and decals ......This looks good!! "Some people are always looking for new kinds of mistakes to make"
Think its probably the dust that makes them look grey...Im not a expert on mining stuff and the like but I imagine they all look black when new but over time they fade as do normal tyres and lose that 'new' look. Nice looking bit of kit though and if it wasnt for all the cranes coming out etc Id seriously consider getting one.